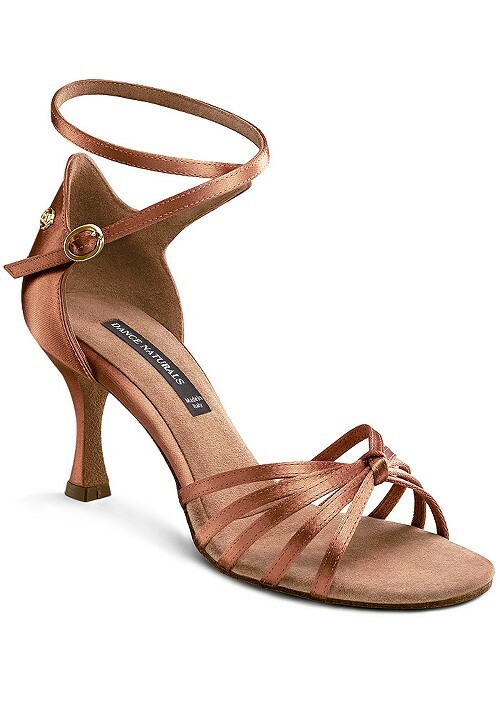 The Art 27 is a ladies latin dance shoe. It has a 5 strap vamp tied at the top with a simple knot. Although not a guarantee, the suggested American size is an American 9 as it seems to run a bit wide.